Last week saw a sea of union jacks and red, white and blue all over the country as people celebrated the Queen’s Diamond Jubilee including the London Eye being lit in the colours. A diamond jubilee generally denotes 75 years; however it was moved to 60 years in the case of a monarchs rein due to the failing health of Queen Victoria – the only other monarch to have celebrated a diamond jubilee in the history of the UK. 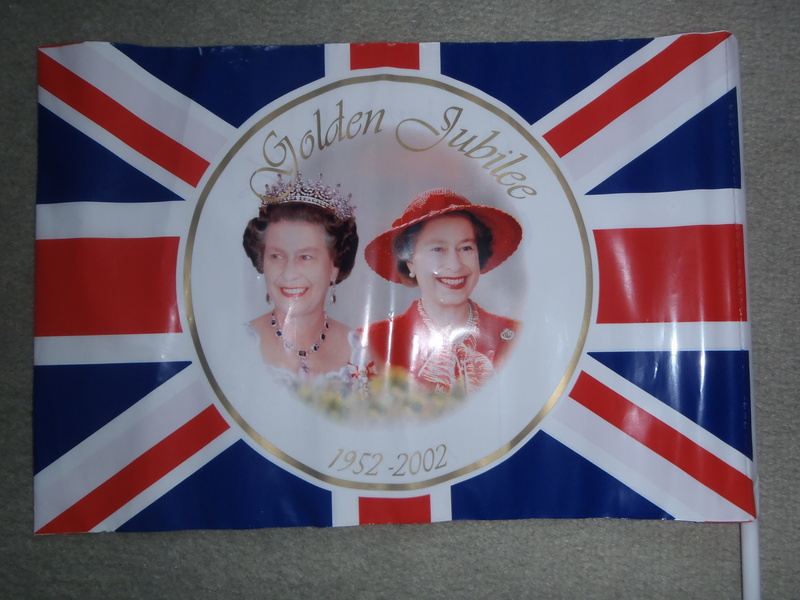 I still remember heading up to London for the Golden Jubilee and walking the length of a Union Jack decorated mall with my celebration flag in hand and red, white and blue ribbons in my hair. How the last 10 years has flown. The Diamond Jubilee celebrations were in a league of their own, perhaps due to the extended Bank holiday weekend. What an event to raise the countries spirits and boost the economy in the midst of recession and the Euro Zone crisis. Over the years there has been continuing debate on the Royal family and its part in the country’s constitution. I for one have always been in favour of the royals as I believe they make us one of a unique set of countries with a constitutional monarchy which makes the a monarch head of state; this brings in a great deal of tourism. It is an institution which some would argue forms part of our identity. My Grandma used to collect special magazines and cuttings about the Royals for me when I was little and I still follow them with interest. Kate and Williams wedding was a great celebration last year with another official bank holiday. Whatever your thoughts however, no one can deny how a celebration such as the Jubilee unites the country, with people of all nationalities, religions and backgrounds joining in the celebrations. The official celebrations saw the queen tour around the country, a river parade, a concert outside Buckingham Palace, a service at St Pauls and a golden carriage procession, culminating in a balcony appearance and fly by; all of which I watched on television as to avoid the huge crowds. There were street parties up and down the country bringing communities together and thousands of others arranged their own parties. 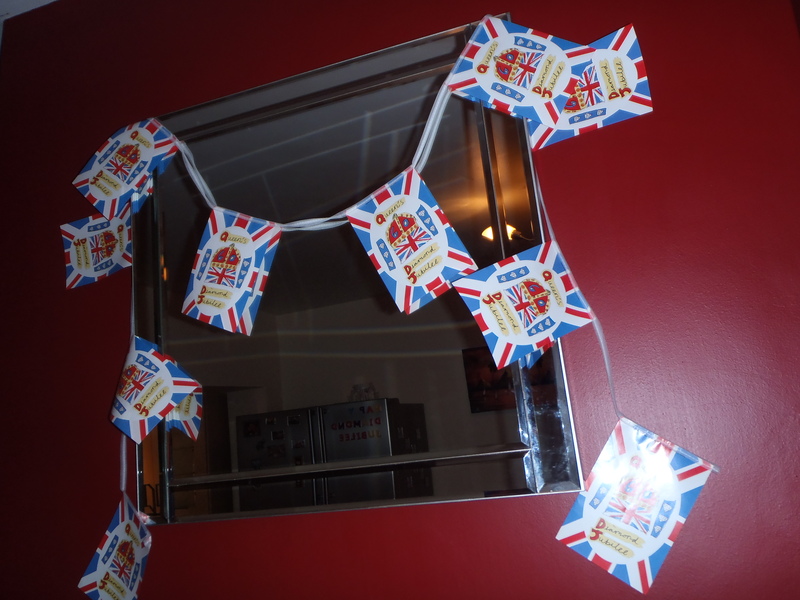 I hosted a Jubilee BBQ and went to town with bunting, balloons, flags and union jack plates and cups not to mention my costume! 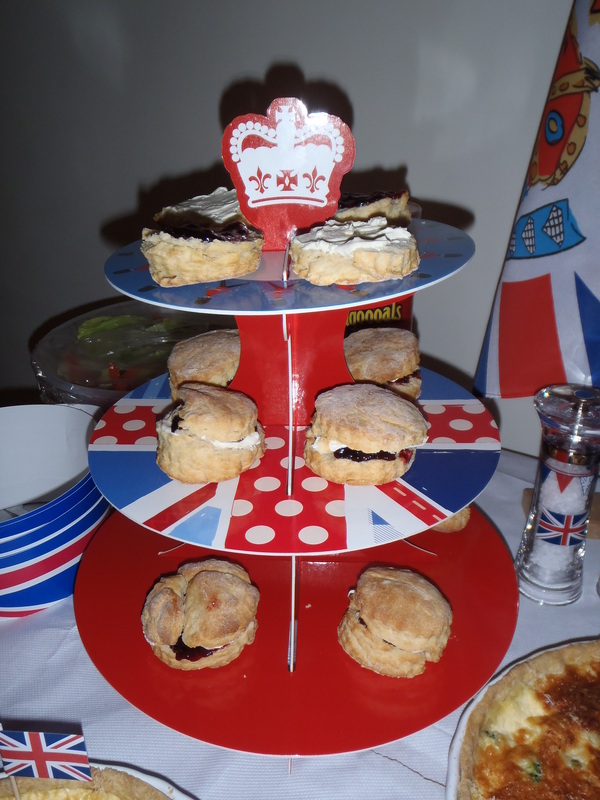 We also had many things which have become synonymous with Britain such as scones with jam and cream, strawberries and plenty of Pimms! Pimms was first made by the Kentish man James Pimm in 1823 and he served it in his London Oyster Bar in place of the bitter tasting gin. Some guests moved on to a British cup of tea as the evening drew in. 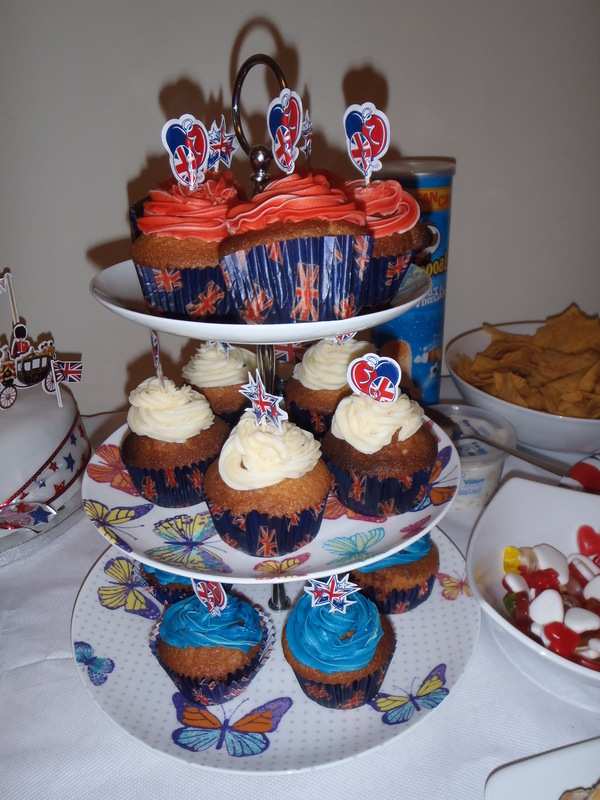 I made a Jubilee cake and red, white and blue cupcakes. Despite the good old British weather letting us down we braved the burgers under the picnic umbrella whilst there was a brief shower; after all it wouldn’t be a British BBQ if it didn’t rain. 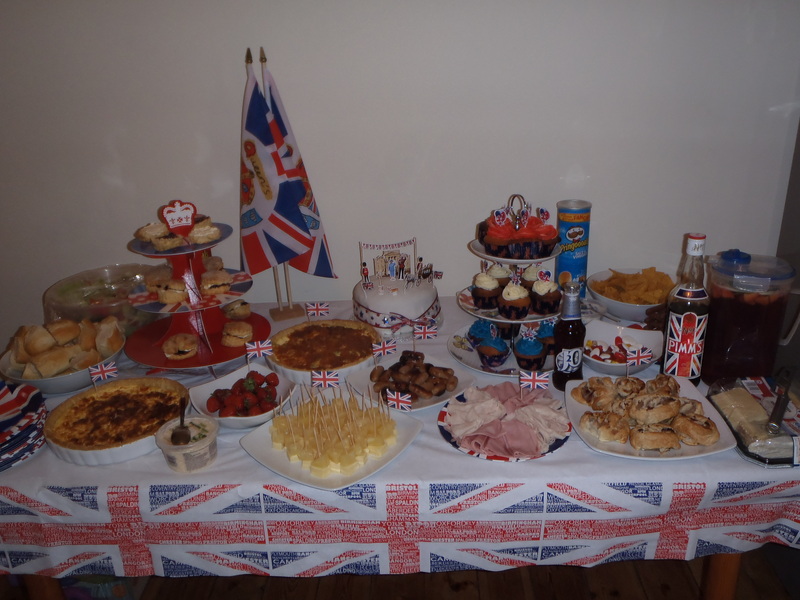 I thoroughly enjoyed it as I hope did my guests, many of whom also made an effort to theme their dress; with a special mention going to my sister in law with union jack leggings and my friend who dressed in vintage 1950’s dress being that the Queen came to the throne in 1952. Even my baby niece had gorgeous navy shoes, with red trousers with white polka dots and a t-shirt depicting a Union Jack tea pot and cups. The Queen herself described the celebrations as a humbling experience. I certainly felt proud to be British and a warm feeling of being part of something spreads inside you when they play songs such as ‘Jerusalem’, ‘Land of Hope and Glory’ and of course our national anthem ‘God save the Queen.’ Now on the subject of the national anthem; composed by Thomas Augustine Arne and first performed in theatres in 1745; I bet the majority of people only know the first verse being that this is all that is generally sung with the third verse sometimes being included at occasions such as the last night of the Proms. I have included the words below to both the first and the third being that this year will see at least three other opportunities to sing it; Euro 2012 which begun on Friday and saw England’s first game this week against France, which was a draw; the Proms which begin 13th July and of course the long awaited Olympics, starting on 27th July. June also has another opportunity for strawberries and Pimms and that of course is Wimbledon which begins on 25th June and is the 126th Championship. Royalty have been associated with Wimbledon since the Prince of Wales first visited in 1907 with Princess Mary. The Duke and Duchess of Kent attend each year and present the trophies. Queen Elizabeth II last attended in 2010. 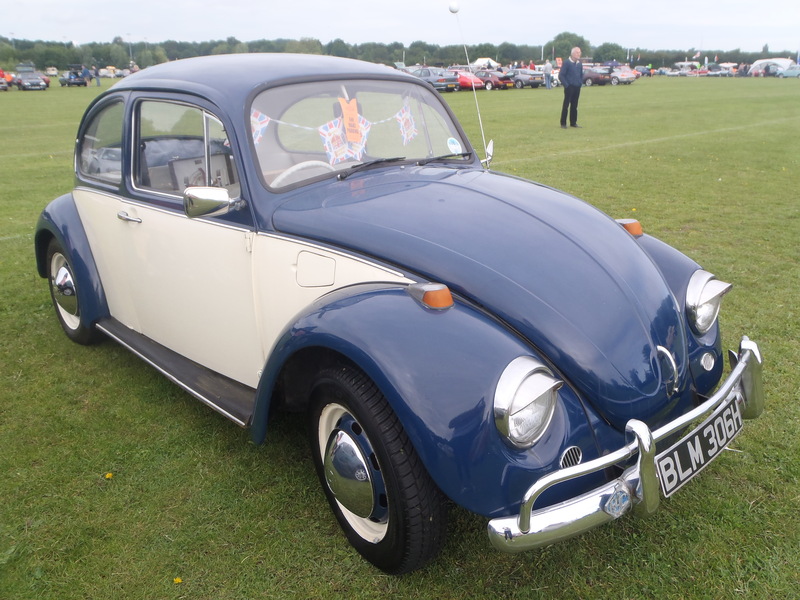 On Sunday 10th at a classic car show, the Jubilee theme was continued with many cars adorned with union jacks and ribbons. As my car is blue and white, it already was half way there and I hung official jubilee bunting in the window. The Royals are also great style icons. Who can forget how Hobbs had a mad run on the coat that Catherine wore for a royal visit to Liverpool and her penchant for LK Bennett shoes. Many brides also want a copy of her Sarah Burton at Alexander McQueen wedding dress. 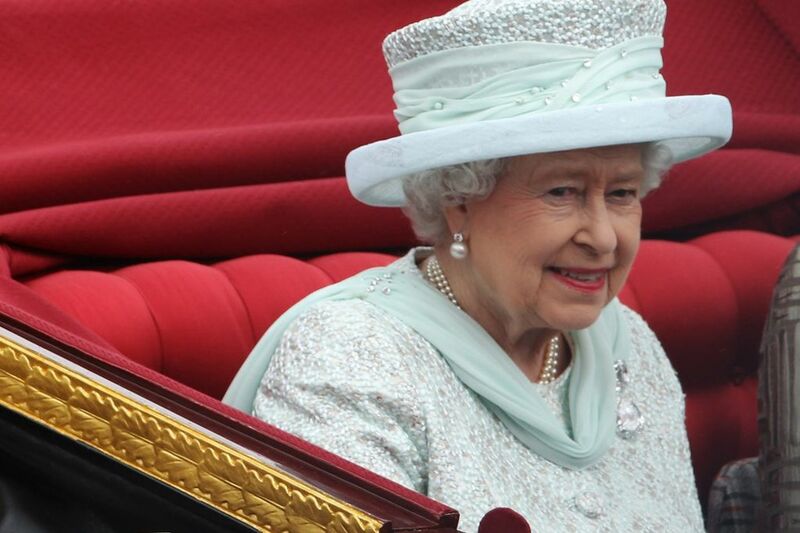 The queen is also a great fashion icon with her matching hats and many handbags. I bet there are few other women of her age who still dress so well (mind you she does have a little bit of help, lol). Angela Kelly, the Queen’s senior dresser and personal assistant has designed for the queen since 2002 and with her team they often use some material which was given to the Queen when she was a Princess. I loved her outfit for Tuesday’s procession, service and balcony appearance. 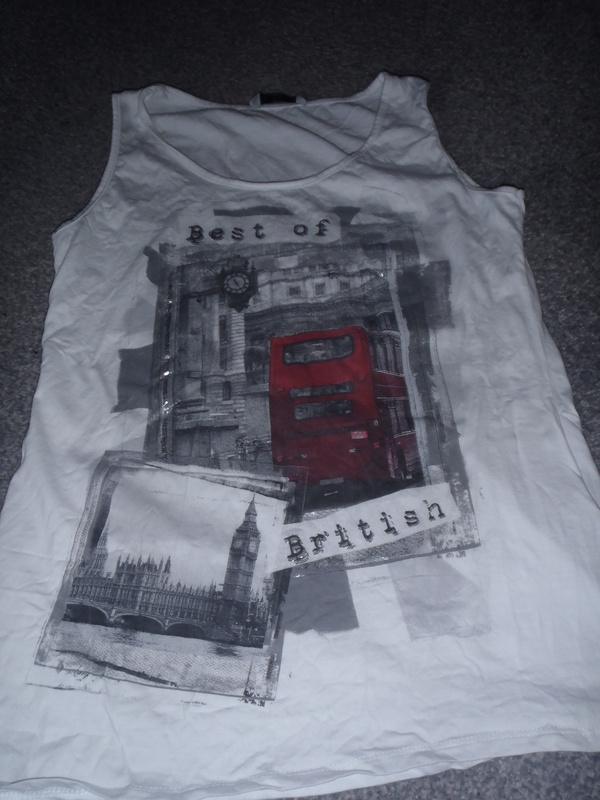 The Jubilee has seen an explosion of British themed fashion. I couldn’t resist this top from Sainsbury’s TU collection! Don’t knock Sainsbury’s especially now Gok’s 4th collection for them has been unveiled. 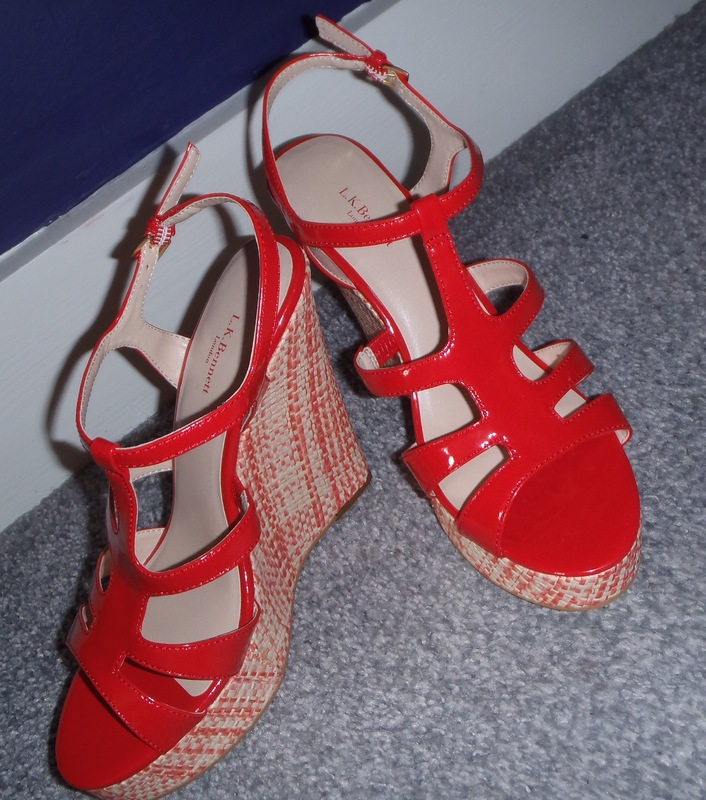 I shall be teaming this vest top with my black skinny jeans and these red wedges which I just couldn’t resist in the LK Bennett sale. 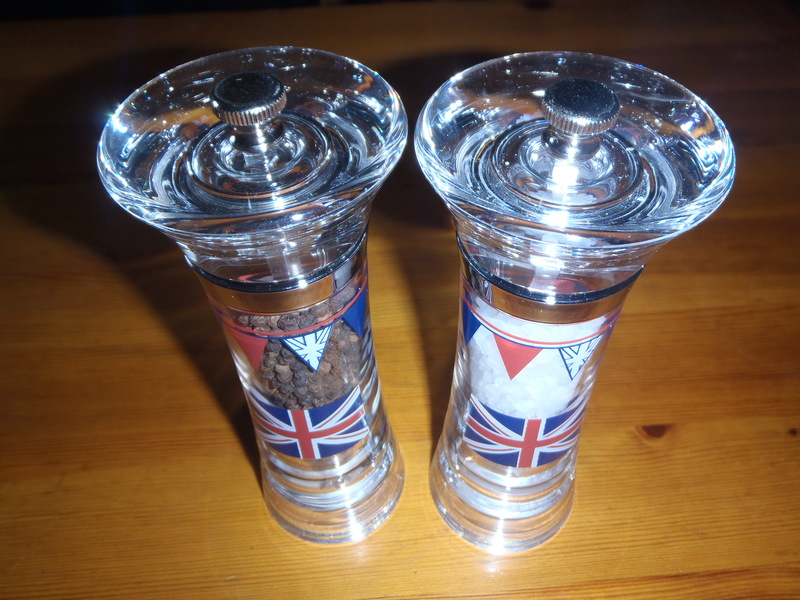 There are also many British themed home products including these fantastic salt and pepper mills from Dunelm Mill which I just had to have. Souvenirs ranged from the usual biscuit tins, mugs and tea towels to the more unusual such as a solar powered waving queen! Also coming up in June is Father’s Day and I would like to take this opportunity to say a big thanks to my Dad for all he has done for me over the years. The Queen too was very close to her father George VI and was devastated at his unexpected early death in 1952, causing her to take the throne at the tender age of 25. 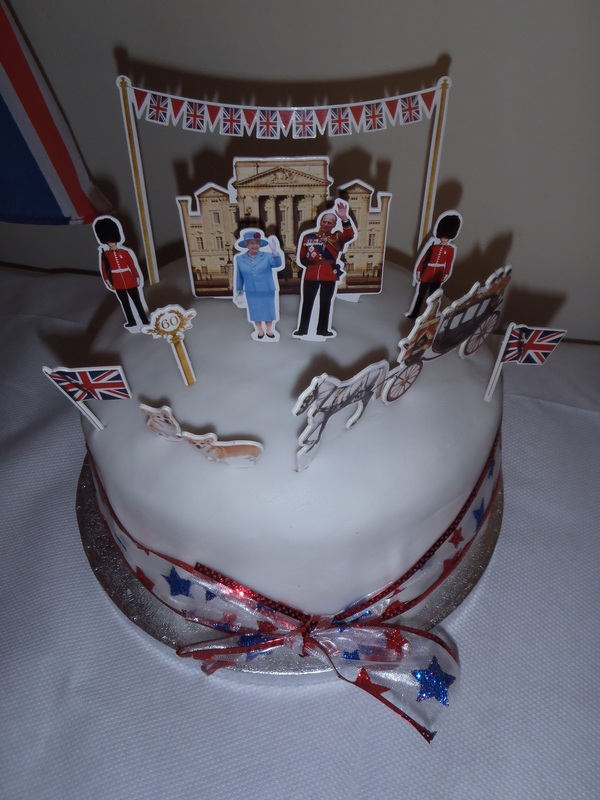 I would love to hear how you celebrated the Queen’s Diamond Jubilee so please do let me know in the comments box. That’s all from me this time but look out for my next blog where I shall report on the Louboutin exhibition now showing at the Design Museum London until 9th July.